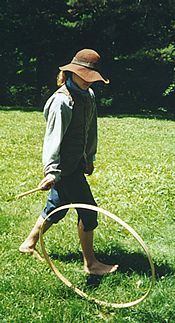 Though frontier children were expected to work, there was also time for play. 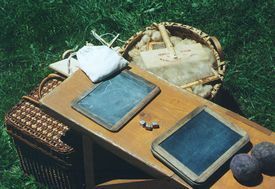 Toys were simple, and were handmade. 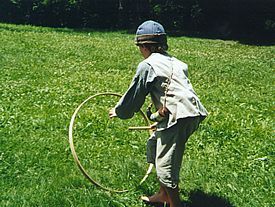 Barrel hoops were popular. Jackstraws, tops, and wrought iron puzzles were also popular. These puzzles were made by apprentice blacksmiths to sharpen their skills at the forge. 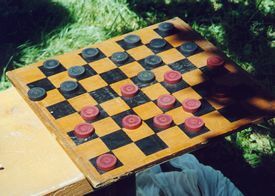 Children and men played draughts - an 18th century name for what we call checkers.